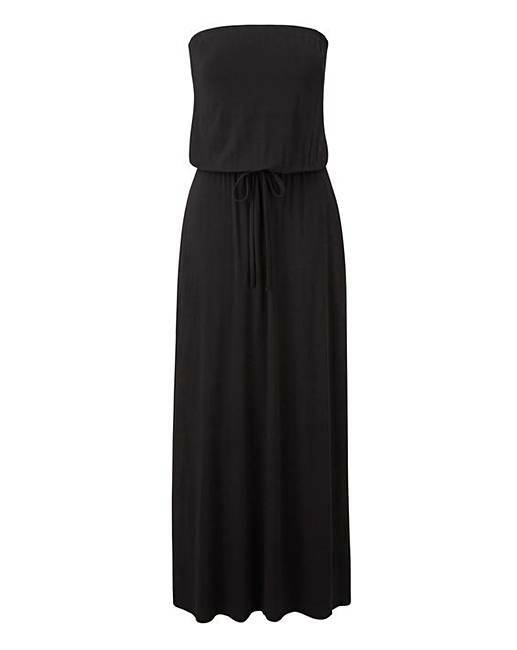 Add a must-have to your holiday wardrobe with the bandeau maxi dress. This easy-to-wear dress, in a classic colour for the summer, features side splits and a drawstring tie belt to cinch the waist. Style with your favourite pair of sandals.